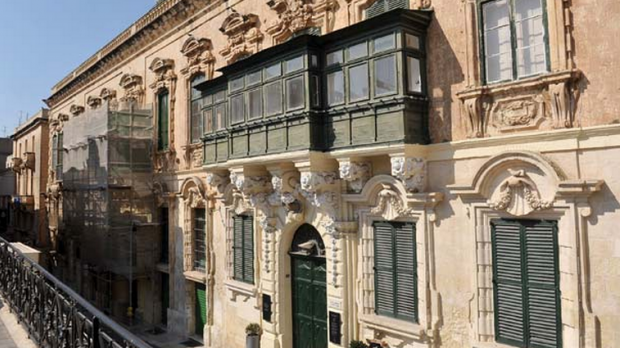 Two architects from the Land Department made a number of visits to Palazzo Verdelin between February and April to draw up a valuation report, the Times of Malta can reveal. Despite denials by the government that it had any intention of expropriating or buying the palazzo, which houses the Valletta police station, this newspaper is informed that department architects toured the rooms of the palazzo to draw up their valuation. This latest revelation is further evidence that the government had plans to acquire the building from its owners, who include Marco Gaffarena. The Sunday Times of Malta has revealed correspondence in which the Permanent Secretary at the Home Affairs Ministry, Kevin Mahoney, asked Home Affairs Minister Carmelo Abela for “political guidance” on how best to acquire the palazzo. Mr Mahoney advised Mr Abela last March that the best way to acquire the property was through expropriation but warned that this would probably land the government in court, as the proprietors would sue. He further advised that the property could also be acquired by direct buyout but said he was against this option due to the “media hype” created over another property acquired by the government. Mr Mahoney was referring to the €4.2 million deal between the Land Department and Cities Entertainment Ltd over Café Premier in Valletta, in which the government bought the café and covered all debts the owners had on this property. Asked to confirm that the department had sent its architects to draw up an evaluation of Palazzo Verdelin earlier on this year, a spokesman for Parliamentary Secretary Michael Falzon, responsible for the department, did not reply.